I have a black toner cartridge. Can I use a colour toner cartridge in the Samsung SCX-4600 printer? No, the Samsung SCX-4600 is a monochrome laser printer so it can only use the range of black toner cartridges listed on this page. Are the Samsung SCX4600 and SCX4500 printer cartridges interchangeable? Thanks, Edward. No, the Samsung SCX-4600 toner cartridges listed on this page are different to the ones used with the SCX-4500 printer model. Want cheap offers on each Samsung SCX-4600 laser toner cartridge? You can't make a mistake with us when you are seeking cheap Samsung toner cartridges. It'll no longer be necessary to waste ages looking for Samsung SCX-4600 toner cartridges down the high-street and spending extra. If you want to get the best bargains combined with our industry leading customer support, order with us. Get complete satisfaction when you buy brand new Samsung SCX4600 toner from Cartridge Save because of the extensive cash back promise. Better still, everything for sale comes with totally free delivery, which ordinarily gets delivered the very following business day! 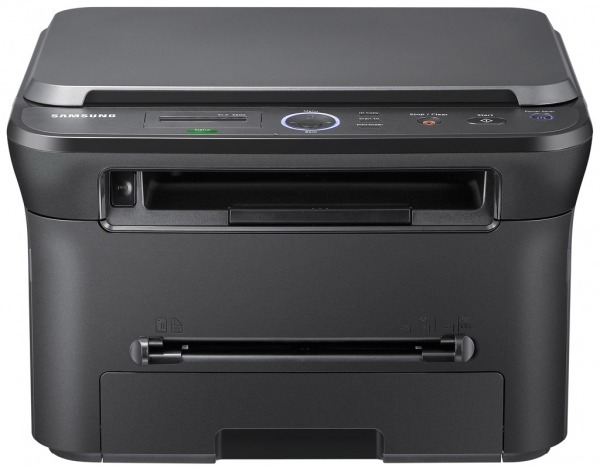 The Samsung SCX-4600 is a laser-based, monochrome multifunction printer that is one of the least expensive printers on the market. It is a great printer that is suitable for the home or for small business that prints many documents. It can is used mostly for printing, scanning, or copying documents in an office setting. It can print colour as well and is suitable for printing photos if photo paper is available. This workhorse is able to print up to 23 dpi and can produce a maximum resolution of up to 1,200 x 1,200 dpi. It is able to print up to 22 pages per minute in full colour and can copy 22 pages per minute. It can connect to your PC via hi-speed USB connection and can be used on various Windows operating systems. The SCX-4600 has a beautiful sleek design that is pleasing to the eye. A functional control panel is laid out in front of the scanner. There is a LCD display that is easily read with normal lighting. There is a four-way button with an internal OK button that is surrounded by blue LED lights. Three buttons on the right side are set to quick copying, scanning to PC, and printing whatever is on the current screen. One of the coolest design features is a print button that will print a screen picture to the full size of a paper, in scale, with one simple click. The pros of this of this printer heavily outweigh the cons. One of the best aspects of this printer is the reliability and it is one of the cheapest laser printers available. Other great features of the Samsung SCX-4600 are its ability to print on different forms of media. It is able to print on labels, cards, plain paper, recycled paper, bond paper, and transparencies. In addition, this printer is highly energy efficient and operates at a sound emission of 50 decibels when fully operational. The cons of the printer are that it is not the fastest on the market. You will not want to have to print thousands of copies at a time with this printer. In addition, there is a long wait time if you the printer has to switch up content. This is not the preferred printer if you are planning on using it nonstop in a busy corporate office.